Perusahaan Umum Lembaga Kantor Berita Nasional Antara – Perum LKBN Antara or widely known as “ANTARA” is the national news agency of Indonesia. 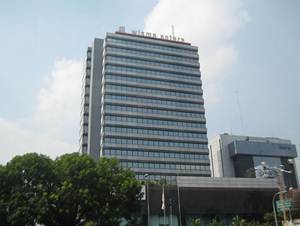 ANTARA is a state-owned company in Indonesia that is involved in news media industry. ANTARA operates primarily as a suppliers of news and photo reports to the many media companies in both Indonesia and overseas. ANTARA also provides other supporting products and services such as data services and money and stock market information (Indonesia Market Quote/IMQ), the dissemination of the press release (PRWire) and journalism education (Lembaga Pendidikan Jurnalistik ANTARA). In term of financial positions, ANTARA is running well in the business year of 2014. According to Perum LKBN Antara Annual Report 2014 as cited by JobsCDC.com, Perum LKBN Antara booked total net profit of Rp 8.4 billion in 2014 as compared with a loss of Rp 3 billion in 2013. Perum LKBN Antara booked total revenue of Rp 232.9 billion in 2014 or 29.95% growth from Rp 184.9 billion in 2013. Minimum 1 year of experience as Assistant Producer or 3 years as Reporter.